Among the many things we Mormons have been getting wrong about our own religion is this idea that the LDS Church and the Kingdom of God are "one and the same." Those happen to be the very words Bruce McConkie used in his definitive treatise on all things Mormon: "The Church and kingdom are one and the same." "The kingdom of God on earth is The Church of Jesus Christ of Latter-day Saints (D&C 65). The purpose of the Church is to prepare its members to live forever in the celestial kingdom or kingdom of heaven. However, the scriptures sometimes call the Church the kingdom of heaven, meaning that the Church is the kingdom of heaven on earth." No, the scriptures do not sometimes call the Church the kingdom of heaven. In fact, the scriptures never call the Church the kingdom of heaven -especially not in D&C 65, which is the scripture conveniently linked to that paragraph. Nice of them to provide that link, so you can check it out for yourself. Section 65 is only 6 short verses, and what is happening in those verses is that God's people are encouraged to call upon the Lord, that His kingdom may go forth upon the earth. (The kingdom had not yet gone forth when that revelation was given, even though the Church had been established a year and a half earlier.) The kingdom referenced in that section is the kingdom (not a church) foretold by the prophet Daniel in the Old Testament, a kingdom that, once established, would stand forever, and break up and consume all the other kingdoms of the earth. The word "church" is neither found in the text of section 65, nor inferred anywhere within it. It would appear that someone wants you to think the scriptures say what they clearly do not say. Maybe they don't think you will research this topic and see for yourself. Pull out your Doctrine & Covenants concordance and see if there are any revelations in which the Lord identifies the kingdom of God with the LDS Church. You will see that whether the kingdom is referred to in the words of the Lord, or in the sermons given by Joseph Smith where he discusses the kingdom, both the Lord and the prophet are talking about something perceptually distinct from the LDS Church. Or any church, for that matter. Why do you suppose they are so intent on pulling the wool over your eyes regarding such a seemingly innocuous topic? 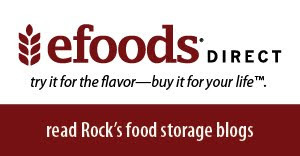 Well, they do have their reasons, which I'll get into ultimately. Meawhile, go ahead and read section 65. If you want it to say what you want it to say, I suppose you could talk yourself into believing it says what you want it to say. But you'd be fooling yourself. "The Church of Jesus Christ of Latter-day Saints is in literal reality the kingdom of God on earth." "The Church is, after all, the kingdom of God on the earth." If it seems like I'm picking on D. Todd Christofferson a bit more than the others, it's because D. Todd is still alive, and maybe someone will show D. Todd his error so he can correct himself, and because D. Todd is an apostle who really shouldn't be so careless with his false teachings, and because it was a stupid thing for D. Todd to say in the first place, and because I just like saying "Dee Tahd" over and over. The prophet made that statement in a discourse given on May 12th, 1844. So if you happen to be, oh, let's say, D. Todd Christofferson (to pull a name at random), and you firmly believe that "the Church is, after all, the kingdom of God on the earth," then you're in for some mental gymnastics trying to reconcile what Joseph Smith is saying in that statement. Because if you're reading that statement of intent to mean Joseph has some plans to lay the foundation of a church that will revolutionize the whole world, you're going to have to admit he's getting a late start on the project, because six and a half weeks from the date Joseph Smith made that declaration, he will be dead. 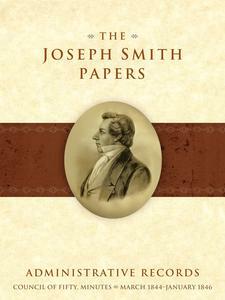 Was Joseph Smith, on the very eve of his death, thinking about laying the foundation for the very religious society he had already established fourteen years earlier? Of course not. He was referring to laying the foundation for something bigger and exclusive of the Church. And although Joseph was killed just weeks after making that statement, he had by that time already laid the foundation for that kingdom and had every reason to believe the project would continue on course with or without him. For more than three months prior to his death, the prophet had been laboring with at least fifty other men, charging them with the responsibility for implementing his vision. Sadly, every one of them ultimately abandoned the task entrusted to them. Most found it more to their liking to simply focus their energies on managing the Church. After all, that entity was already here, and it was up and running. Now that Joseph and Hyrum were gone, all they had to do was take it over. This is the real tragedy of the history of this Church. Had those who followed after Joseph actually stepped into his shoes and followed through with their commissions, you and I might have been born into an environment of true freedom where men of all faiths respected each other enough to live in peace in spite of their differing views. The bad news is that the kingdom of heaven has been postponed. The good news is, it's not dead yet. So before we go any further, let's talk about just exactly what this thing is we call "the kingdom of God." 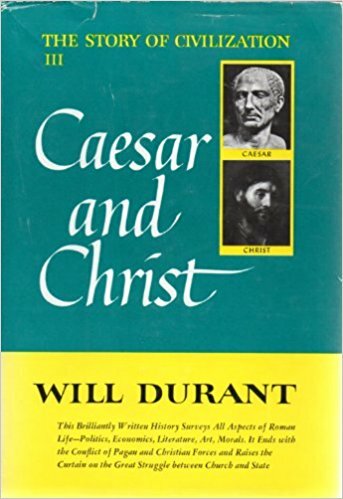 The reason Jesus found himself one day standing before Pontius Pilate, governor of Judea, was that the high priests in Jerusalem had breathlessly notified Pilate that he had a radical revolutionary on his hands who was an immediate threat to Tiberius Julius Caesar, Pilate's boss back in Rome. In reality, Jesus was an immediate threat only to those religious leaders who were running to the governor to tell on him. He was a threat to their power, not Caesar's. But if the high priests wanted Jesus dead and out of the way, they knew they were going to have to get Pilate to do the dirty work for them. Caiaphas and Annas were, after all, the religious leaders of the country and could not allow the people to perceive them as the bad guys. In spite of what many believe, Rome had not invaded and conquered Judea. The Romans had been invited into the country around 66 B.C. because there was a civil war going on between two brothers, Hyrcanus II and Aristobulus II, over which of them should be king of Judea. One brother got the idea of inviting the Roman politician and military leader Pompey in to settle the dispute. So Pompey showed up with his legions of soldiers and settled the dispute, accepting a large payment for his troubles. But guess what? The Romans never left. They decided they were still needed in Judea to keep the peace and "normalize" the political environment. Not to mention there was that nifty benefit the Romans exacted from the Jews in the form of a hefty ongoing tribute. This was the kind of protection racket the Romans came to be known for. They would occupy a foreign country either by invitation or by force, then Caesar would plant one of his own in the province to "govern" the land, which mostly meant keeping that tribute money flowing back to Rome. 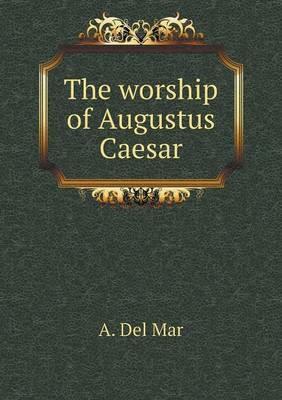 At the time Jesus was born in Bethlehem, the particular Caesar who held the throne at Rome was a rascal by the name of Augustus Caesar. Augustus not only claimed the title of Emperor, but also declared himself to be the literal son of God. 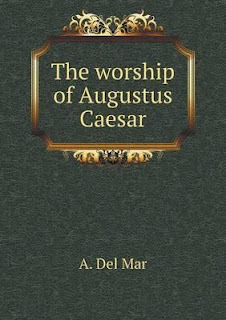 Caesar Augustus demanded his subjects worship him, and the citizens of Rome complied with the greatest enthusiasm because it was either that or wind up with your head on a pike. Museums today are filled with statues, coins, and other artifacts celebrating the venerable Emperor Augustus Caesar as being the very son of God in the flesh. You can see where this is going. With a phony son of God in Rome and the real one growing up near Jerusalem, eventually there's bound to be a kerfuffle. By the time Pontius Pilate was assigned the governorship of Judea, Augustus Caesar had died and been replaced by his stepson, Tiberius Julius Caesar. Tiberius does not appear to have insisted his people worship him as adamantly as his predecessor had, but neither did he dissuade the citizens from doing so. So here is the situation Pilate finds himself in when Jesus is brought before him: Tiberius Caesar was known to be a reclusive ruler who really hadn't wanted to be emperor anyway, so Pilate is likely wondering how bothered this guy will be if he finds out there's another son of God way out here in Pilate's neck of the woods. After all, it was the other Caesar who claimed to be the son of God. Would Tiberius even care? 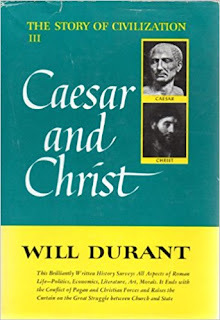 And if he does care, what would the ramifications be for Pontius Pilate? The Romans learned to avoid imposing Roman law on these foreigners because that would be a quick way to incite open rebellion, and rebellion was something they would rather avoid if possible. Keep the peace and funnel the money back to the emperor -those were the two prime directives. But now the Jewish high priests have forced Pilate into a corner, and he has to weigh whether he wants to risk trouble here in Judea, or risk trouble with the emperor. We learn in John 19 that when the Jewish authorities told Pilate that Jesus ought to die because he claimed to be the son of God, Pilate became very afraid. If the conniving high priests sent word back to Rome that someone claiming to be the son of God was given a pass by the local Roman governor, Pilate could wind up hanging from a cross himself. He would have to manage this thing carefully. Pilate asked Jesus if he was, indeed, the king of the Jews, and Jesus answered, "are you asking that question for yourself, or did someone else put you up to it?" Pilate responded by saying, "Look, I'm not a Jew. Your own countrymen and the chief priests have delivered you to me. So what is your crime?" If Jesus was a threat to the emperor, Pilate needed to know. And that's when Jesus gave Pilate the answer that should have satisfied him that Jesus was not a threat to the Roman Empire: "My kingdom is not of this world." So what did Jesus mean by that? Did he mean to say his kingdom is not of this planet? Of course not. The scriptures teach that the kingdom of God has been on the earth from generation to generation (Daniel 4:34; Lamentations 5:19). Freedom under God had been preached by Nehemiah, Jeremiah, Ezekial, Gideon, Moses and others, not to mention the prophets in the Book of Mormon. All sought to teach men the way of liberty under God on this earth. The kingdom of God was never intended to be understood as some invisible, spiritual, ephemeral kingdom forever out of reach, as some have insisted. This kingdom is intended to be the order under which men and women live in the here and now. The fact that the kingdom has long seemed elusive and out of reach is not because God hasn't wanted us to live under His perfect law of liberty. It's our fault for not seeking for it in our transactions with one another. There are many places in the bible where we find the word, "world" but in this instance, where Jesus is saying his kingdom is not of this world, "world" comes from the Greek word, "Cosmos." That clears it up, right? We all know that cosmos means outer space, so clearly Jesus is saying his kingdom is not of this universe. No. That's not it either. Of course Jesus isn't saying that. "Cosmos" may have attained a meaning similar to "universe" in modern times, but way back in the old days, "cosmos" meant order, orderly arrangement, or system. You can see how that word would eventually come to apply to the universe, because the universe is, after all, an orderly system. But what Jesus was saying to Pilate was this: "My kingdom has no resemblance to the order you are a part of. It has nothing to do with your system of government, a system of coercion where a ruler at the top issues demands to his subjects below. My kingdom does not operate like that. My kingdom operates under an order where every man is his own king, and every woman a queen, to do, say, and believe as best suits them; and no person or group of persons has authority to impede them or pressure them to do that which they do not wish to do." That's the order of God's kingdom. It is based not only on liberty, but on the perfect law of liberty (James 1:25). Although Joseph Smith did not live to see his dream of the kingdom implemented, Brigham Young was present during the deliberations, and he has left us with an apt description of how the whole thing was intended to work. Next week I'll follow up here with part two of this discussion, focusing on how and why the Church failed to act on the opportunity the Lord had given them, and the consequences that are being felt in the Church for that failure even today. 'O yes, anything you wish to be, but remember that you must not persecute your neighbors, but must mind your own business, and let your neighbors alone, and let them worship the sun, moon, a white dog, or anything else they please, being mindful that every knee has got to bow and every tongue confess. When you have paid this tribute to the Most High, who created you and preserves you, you may then go and worship what you please, or do what you please, if you do not infringe upon your neighbors.' "